He is not permitted to send any messages that could interfere with Ecuador's relations with other countries. 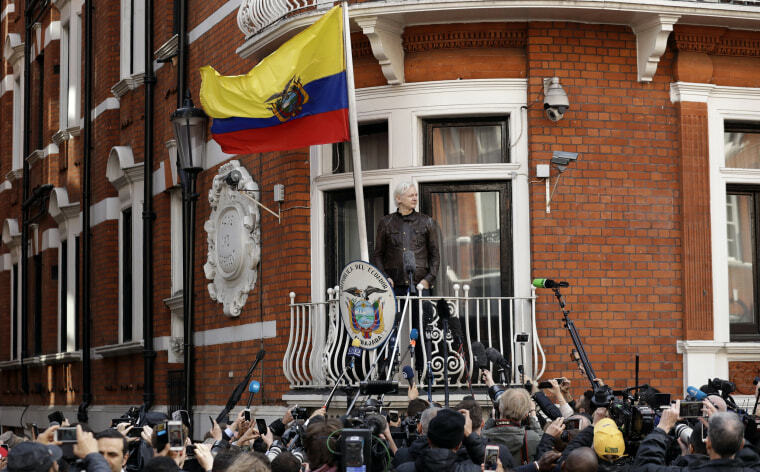 QUITO, Ecuador — Ecuador's government is cutting off WikiLeaks founder Julian Assange's communications outside the nation's London embassy. Though protected by Ecuador, the relationship between Assange and nation's leaders has at times been strained. Ecuador has repeatedly urged Assange not to interfere in the affairs of other countries following his frequent online comments on international issues. The biggest crisis came in October 2016, when the embassy cut his internet service after WikiLeaks published a trove of emails from then-U.S. presidential candidate Hillary Clinton's campaign. He was also a point of contention in Ecuador's 2017 presidential election when Conservative candidate Guillermo Lasso pledged to evict the Australian within 30 days of taking office, while current President Lenin Moreno said he would allow him to stay. Assange later taunted after Lasso's loss that he would "cordially invite Lasso to leave Ecuador within 30 days." Moreno issued a warning reminding Assange not to meddle in politics — he has also called Assange a hacker.